I am a huge fan of holographic anything, so I was excited to be asked to try out Jesse's Girl Glow Stix Holographic Lip Gloss. 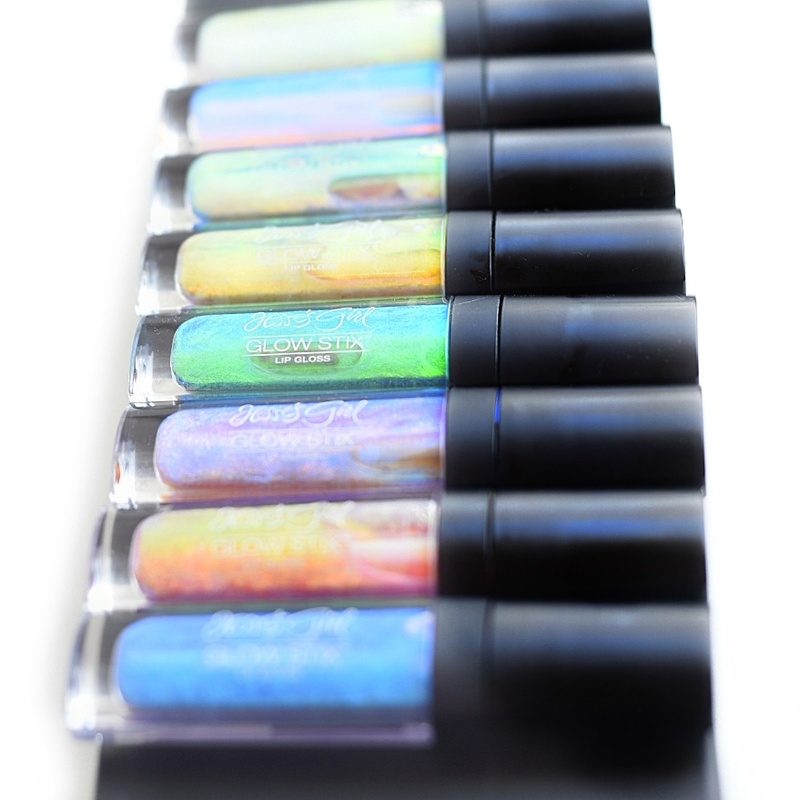 These glosses have liquid crystal technology and holographic effects that make them look magical! 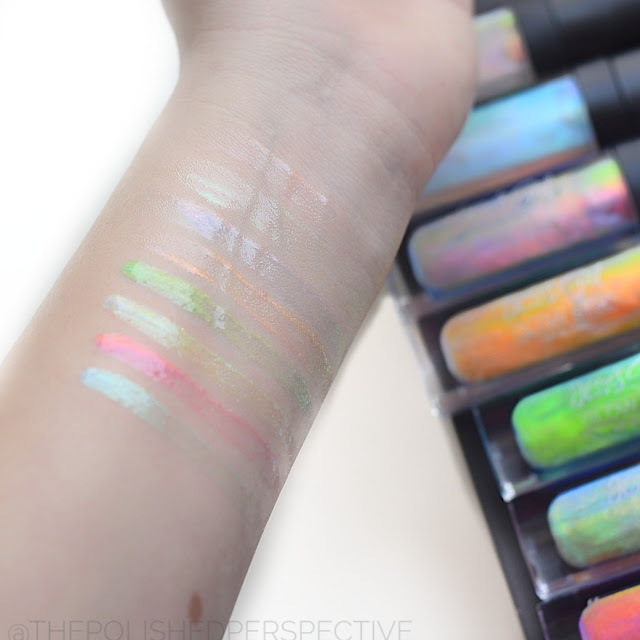 I did not know holographic lip gloss actually existed. When I opened the package my daughter and I both were like, whoooaaaa. The really do look like they're glowing in the bottle. As you can see from my swatches, some are more pigmented than others. There's a Glow Stix for any occasion. These can be worn alone or over one of your favorite lip colors as a base. 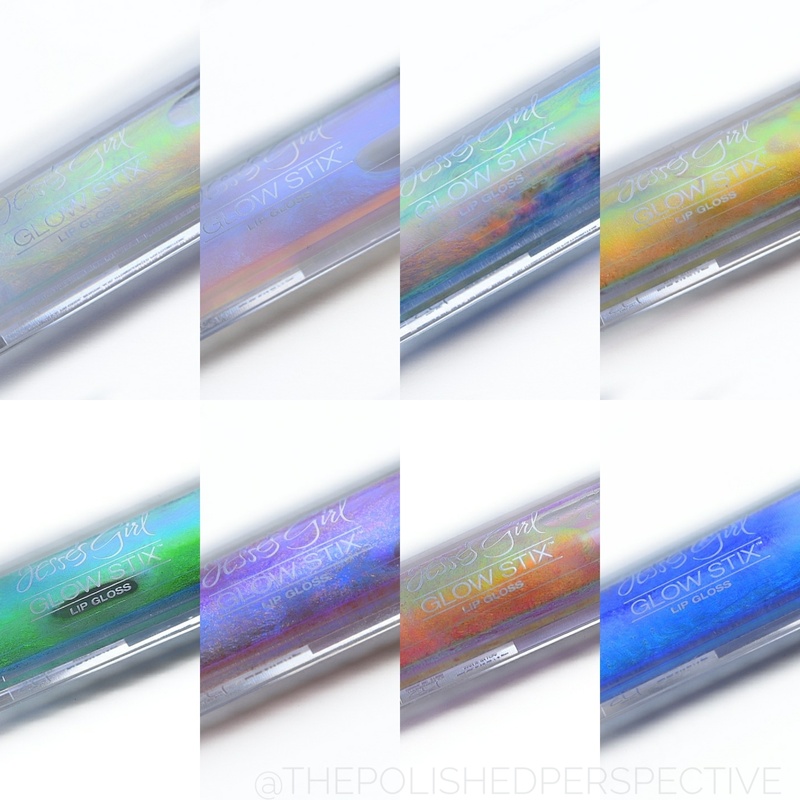 The new sleek packaging contains over twice the previous volume of the original packaging. Jesse's Girl Glow Stix line retails for $9.95 each.